Another summer weekend, another summer sequel. I have no idea if it is, but it sure feels like this summer has had more sequels than any other summer ever. While Star Trek Beyond opened with a solid 59 million last weekend, Ice Age 5 opened softly with 22 million. Is sequel fatigue starting to occur? This weekend, after nine years away, Matt Damon returns to the Bourne franchise with Jason Bourne. The Bourne movies have all been hit films, but none of them have been huge blockbusters. 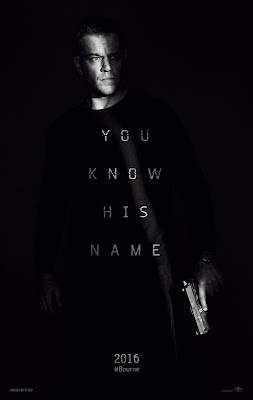 The Matt Damon led Bourne movies have averaged 175 million domestically and I think this latest film should consider that its domestic max. A check over at Rotten Tomatoes shows that Jason Bourne is the worst reviewed of the series with a 54% fresh rating. That may not help with the movies longevity at the box-office, but the fans will still show up this weekend. Look for Jason Bourne to pull in around 55 million this weekend. Next up is the R-rated comedy Bad Moms which looks to capture the same audience that loved movies like Trainwreck, Spy and Bad Teacher. All three of those movies opened in the 30 million range, so Bad Moms should do about the same. The movie is pulling in so-so reviews with a 59% fresh rating at Rotten Tomatoes, but I don't think this movies audience will care about that. Look for Bad Moms to pull in 28-30 million this weekend. The final new release is the teen action flick Nerve. I don't have any thoughts on this one. Uh...around 10 million this weekend. In 2013, my favorite album of the year was King of Conflict by The Virginmarys. It was an incredible debut and to say that my expectations for their sophomore release is extremely high is an understatement. Honestly, I'd say that my expectations for their second record has been unfairly high. This past May they released Divides and it more than exceeds my expectations. It just demonstrates why this UK band is getting noticed on both sides of the pond. Divides is a hard rock album with a punk rock twist that is filled will a ton of energy. The energy of the music is perfect because it fits the lyrics which includes a lot of political anger. 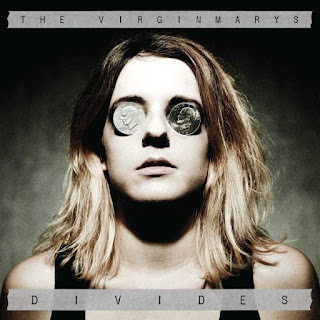 Unlike most music out there today, The Virginmarys have a lot to say and it only makes the songs better. The band only has three members, but the music sounds so much more powerful than that. The drums are fierce, the bass rumbles and the guitars shred. Add in lead singers raspy vocals and it is just a badass album. Every song on this album is great, but some of the stand outs include the first single Into Dust, Free To Do Whatever They Say and the amazing Halo In Her Silhouette. I honestly can't imagine a better album in 2016 than Divides and I've listened to a ton of them. Without a doubt, The Virginmarys is the best rock band out there right now. Do yourself a favor, buy both their albums immediately. It is hard to believe that Netflix has become one of the better networks for TV shows, but they have. I haven't watched all their different shows yet, but this past weekend I binge watched the new series Stranger Things and it is incredible. 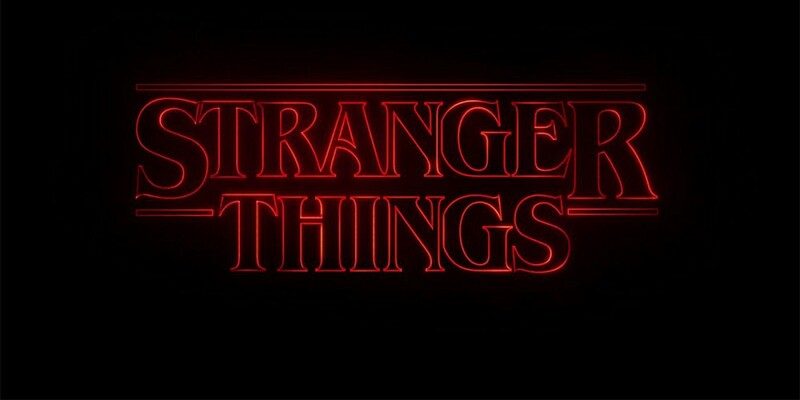 Stranger Things tells the story of a 12 year old boy who goes missing and how his friends and family search for him. They quickly realize that his disappearance is surrounded by supernatural mystery and a government cover-up. What makes this show special is that it is done in the style of 80's movies like The Goonies and Stand By Me with a Lovecraftian sci-fi/horror element that will keep you on edge. Stranger Things takes place in 1983 and the show does an excellent job recreating life in the 80's. If you didn't know better, you'd swear this show was actually made in the 80's. Not only is Stranger Things a great story, but it is filled with great performances led by Winona Ryder, David Harbour and Matthew Modine. Like with The Goonies and Stand By Me, a show like this depends on the performances by the young people in the show and these kids are excellent. They really carry the show. Finally, the musical score and soundtrack is awesome. 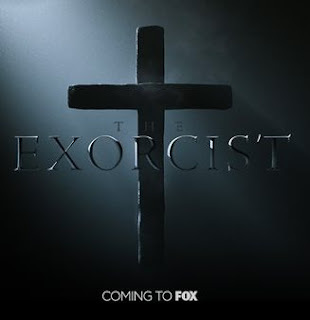 This show is from The Duffer Brothers who came up with the story, wrote several of the episodes and directed every episode. I don't know too much about what these guys have done in the past, but they did such a great job here, I am excited about what they are going to do next. Plus, a second season of Stranger Things. Due to being on vacation last week, I didn't write about the Ghostbusters reboot, but the movie opened a bit under what I would have predicted. I was thinking 50-55 million for its opening weekend and it pulled in 46 million. Whether there will be a second film in the new series will depend a lot on how the movie holds. Word-of-mouth has been decent, but not good as its Cinemascore grade is a B+. Anything less than an A- Cinemascore for a movie like this is a sign the movie won't have good legs at the box-office. I guarantee those behind Ghostbusters are hoping for a second weekend drop of less than 50%, but I just don't see that happening. I think a drop of around 55% should be expected. Look for Ghostbusters to pull in 20-22 million this weekend. Speaking of reboots, the highly successful Star Trek reboot continues with the third film in the series, Star Trek Beyond. The first Star Trek reboot opened to 75 million, while the second one on the series opened to 70 million. I think somewhere in that range seems right for Beyond. Like the previous two movies in the series, Beyond is getting stellar reviews with a 86% fresh rating at Rotten Tomatoes. 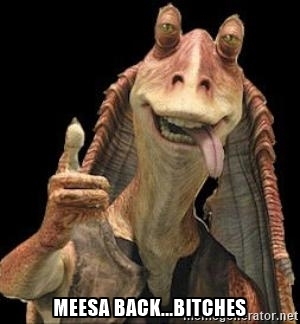 Being Independence Day 2 flopped at that box-office, I think sci-fi fans are ready for this movie. 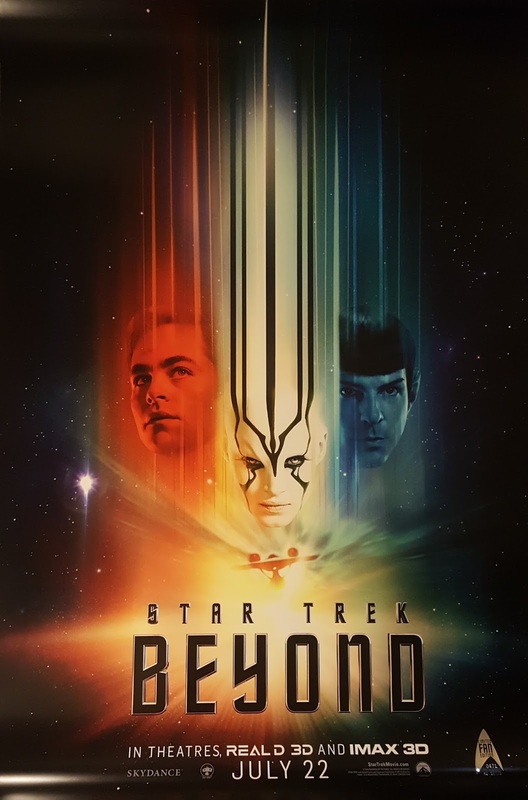 Look for Star Trek Beyond to pull in 70-75 million this weekend. The very popular Ice Age series continues this weekend with the fifth film in the series, Ice Age: Collision Course. Every film in the series has opened above 40 million, but the onslaught of animated movies in 2016 has to hurt one of these movies at some point. I think Collision Course would have been better suited being released before or after the summer movie season. The film series has never been liked by critics and the newest film is getting a series worse 12% fresh at Rotten Tomatoes, but fans of the series will still show up. Look for Ice Age: Collision Course to open around 35 million this weekend. The final new release this weekend is the horror film Lights Out and I expect this one to follow the same patterns of The Shallows. Lights Out is already a hit with critics as the movie is getting a strong 77% fresh rating from critics at Rotten Tomatoes (just like The Shallows did). The Shallows opened to 16 million and I think around that number makes sense for Lights Out. Look for Lights Out to pull in 16-18 million this weekend. I took over a week off due to going to Hawaii and now I'm back to spew my crap all over the world. Back in 2007, Nikki Sixx of Motley Crue decided to form a new band to support his first book and I was immediately intrigued. Sixx is one of my favorite songwriters from the 80's and I liked the idea of him creating music with a new band. The debut SIXX: AM album became a hit and when Nikki wasn't working with the Crue, SIXX: AM got all his attention. By 2015, they had released three albums and I loved each one of them. Prayers for the Damned Volume One is SIXX: AM's fourth album and it is the best album they have released so far. I'm not sure if these guys were eating their spinach or what while writing the album, but they simply nailed it. 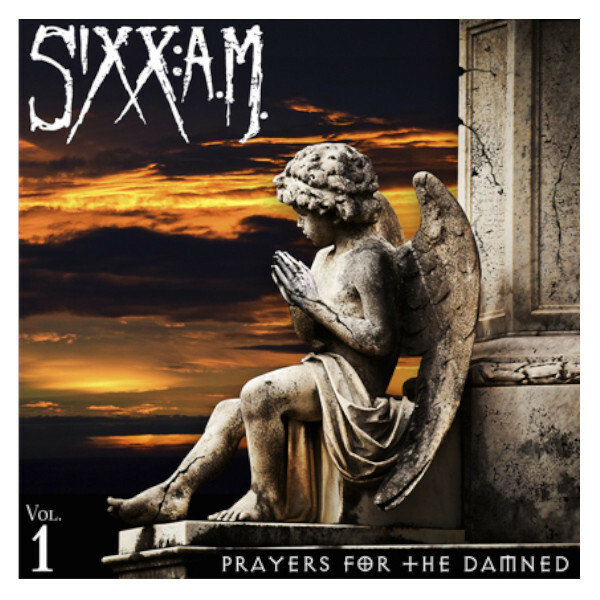 I read that SIXX: AM had decided that they wanted to write more songs with anthem choruses and they definitely achieved that. The album is a mix of dark powerful lyrics, atmospheric riffs and choruses that get stuck in your head. What really shines on this album is lead singer James Michael's vocals which are simply fantastic. Songs like Rise, You Have Come to the Right Place and Prayers of the Damned all have huge hit potential. In fact, Rise already hit #3 on the Billboard Mainstream Rock charts. Songs like When We Were Gods and Belly of the Beast may not have hit potential, but they are incredible songs that really stand out on an album where every song is great. I really hope I get the chance to see this band live sometime on their current tour. Finding Dory passed the 400 million mark this past week and will become the biggest film so far in 2016 this weekend. Pixar continues to be a beast at the box-office. There are only two major movies this weekend and one of them is going to be huge. The Secret Life of Pets is set to dominate the weekend box-office as the hype for this movie has been building for the last year. While the reviews are not as good as other 2016 animated hits like Zootopia (98% fresh) and Finding Dory (95% fresh), the movie is still pulling in a solid 76% fresh at Rotten Tomatoes. 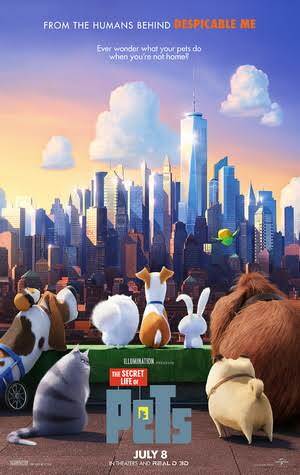 With Dory slowing down a bit and The BFG not catching on with kids, look for The Secret Life of Pets to take off. I'm expecting a 90-100 million opening. The second movie hitting theaters this weekend is the R-rated comedy, Mike and Dave Need Wedding Dates. This is the second Zac Efron movie of the summer and that alone is two too many. A check over at Rotten Tomatoes shows the movie is getting a poor 44% fresh rating which will hurt the movie overall. An opening of 15-17 million seems about right as it is the only movie out there right now for this particular audience. There once was a time when one of the biggest opening weekends of the year was the 4th of July weekend, but that hasn't been the case for some time now. While this weekend has three new movies opening; early projections lead us to believe none of them will break any records. In fact, none of them will top the third weekend of Finding Dory which will most likely pull in around 50 million this weekend. 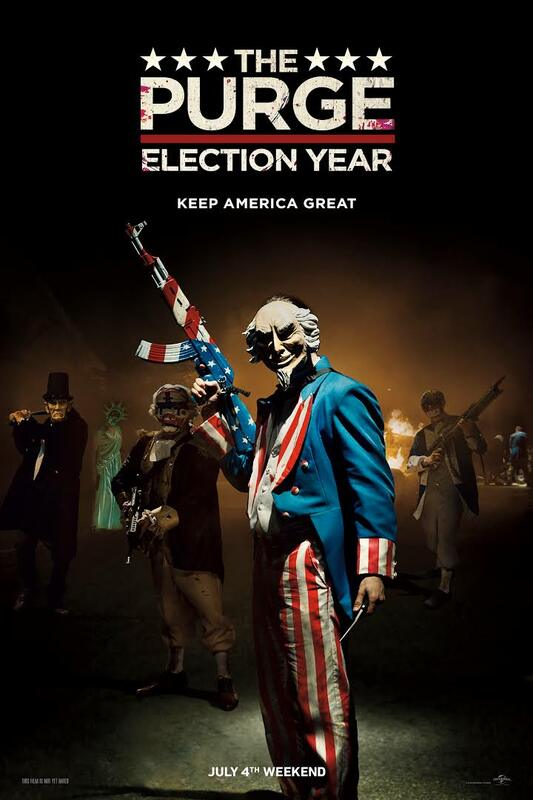 When it comes to the three new movies opening this weekend, I am expecting The Purge: Election Year to win the weekend. The first Purge movie pulled in 34 million its opening weekend and the second Purge movie opened to 29 million. Add in the holiday weekend and the election year tie in; I expect this to open a bit higher than the previous two. The reviews are pretty decent for a horror film as it has a 55% fresh rating at Rotten Tomatoes and that will be beneficial too. Look for Purge 3 to pull in 35-40 million this weekend which will guarantee us a fourth film in the series. Steven Spielberg is back with a kids fantasy movie with The BFG and everything is so far, so good. The movie is pulling in good reviews with a 73% fresh rating at Rotten Tomatoes and strong family word-of-mouth is expected. The long term question for this movie is whether the good word-of-mouth will give the film strong box-office legs and only time will tell regarding that. The BFG should pull in around 30 million this weekend. The final new release is the terribly reviewed The Legend of Tarzan. The movie has a horrible 35% fresh rating at Rotten Tomatoes and that will hurt the movie in the long run. For those not looking for a horror movie or a kids fantasy movie, Tarzan may entice them. I'm thinking this movie pulls in 25 million this weekend and then falls like a rock.